APR (Annual Percentage Rate) is a yearly fixed or variable interest rate that measures the cost of credit. It reflects the total yearly cost of the interest on a loan, expressed as a percentage rate. Your credit card rate is either fixed or variable. According to a Federal Reserve credit card survey, approximately 58% of credit cards have variable rates while 42% have fixed rates. F (Fixed): If the letter “F” follows the annual percentage rate (APR), the rate is fixed and not adjustable. However, this does not mean that the rate is fixed forever. The issuer need simply provide you with a 30-day written notice that your interest rate will change. You will receive such a notice by mail or as an insert in your bill. V (Variable): The credit card interest rate is variable and subject to change if the letter “V” appears after the annual percentage rate (APR). According to the Federal Reserve, the average APR on all credit cards is 14.9% (this rate fluctuates; check with LowCards.com for current rates). Aim for an APR of 10% or less. The better your credit score, the lower your rate. If your rate is higher than 12% and you have a good credit score and good payment history, contact your credit card issuer and ask for a lower rate. Applying for a new card: what rate will you receive? Since credit cards advertise their lowest rate, estimating your actual rate takes a bit of searching and guessing. Since your credit score and application will determine your interest rate, obtain a copy of your credit report before you apply for a card. Credit cards are required to list the range of interest rates and fees in their terms and conditions—the fine print. Each card’s description page or application contains a link to this information. With typically three or four rate tiers, you can guess the interest rate you are most likely to receive based on your credit score. 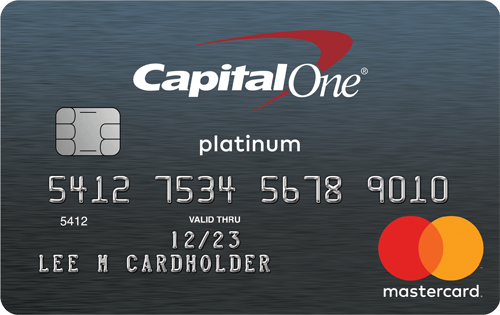 If this is your first credit card and you have a limited credit history, or you have multiple loans and are close to your limits with other cards, you can expect to receive one of the higher rates. Unfortunately, you will not know your rate until after you apply and receive your offer in the mail. If the rate is higher than what you expected, contact the credit card company and ask for an explanation or reconsideration. You may also cancel the card. If you cancel the card to search for another, don’t apply for more than three or four cards in a six-month period. Multiple credit card inquiries will post a red flag on your credit report. How do I ask for a lower rate? In its October 2007 issue, Consumer Reports surveyed thousands of readers and found that people who call to negotiate a lower interest rate succeed more than half the time. In addition, 79% are successful at having a penalty fee removed. When should you ask for a lower rate? If you have a good payment history and your APR is over 12%. The average APR is 14.9%. If you received a high rate for your first credit card, have made your payments on time, and have stayed under your credit limit for six to twelve months. If your card started out with a low rate, but your issuer has increased it several times. If you have had the same card for several years and your balance is less than 30% of your credit limit. Requesting a lower rate is simple, even if negotiating seems out of your comfort zone. Call the number on the back of your credit card or bill. Tell them you have been a good customer but you would like a lower rate. Mention that you have received several offers with lower rates in the mail and have done online research for cards with lower rates. Inform them that you want a lower rate on your card or you will switch to another card with a lower rate. Ask what they can do to help you. If the first person tells you that he can’t lower your rate, call back in a month. This is one area where persistence may pay off. If that person tells you he can’t lower your rate, remind him that there are other cards available. Reducing your interest rate by four points (from 18% to 14%) will save you $200 a year on a $5,000 balance. Apply these savings to pay down your balance. When can issuers increase your rate? Under the Universal Default policy, issuers may increase your rate if you have made a late payment or have missed a payment with any of your other creditors. Issuers may also increase your rate if your credit score drops because they perceive this as an increase in the risk that you will default. Under Congressional pressure, some issuers have stopped using Universal Default. How do I challenge a rate increase? Rate increases, especially unreasonable ones, can be irritating and frustrating. There are two ways to approach a rate increase: one is with honey and the other is with vinegar. In most instances, honey works best. Call in a pleasant manner and explain that you are a good customer, then ask your issuer to drop the rate to something more suitable. If this doesn’t work, ask for a manager. If that doesn’t work, call back in a few days. The other option is to accept it and move on. If you can’t get yourself to call and deal with your issuer, then find another credit card company and transfer your balance. 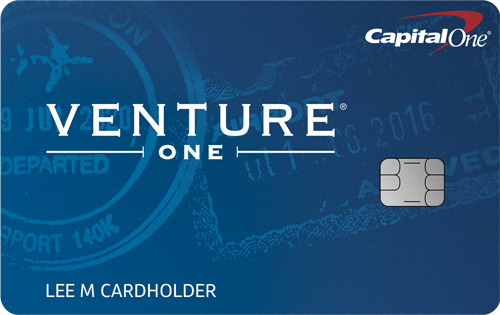 Some cards have a balance transfer of 0% for 12 months or longer. Low rate vs. rewards—which is best for you? This is simple. If you carry a balance, get the lowest interest rate possible and forget about rewards. Since reward cards typically have higher interest rates, the few points/miles/dollars that you earn do not offset the higher rate and the additional money you make in interest payments. Your only goal with your credit card should be to pay off your balance. How does your credit score affect your interest rate? The higher your score, the lower your interest rate. The lower your score, the higher your interest rate. To get the best rates, your credit score should be 720 or higher (FICO). The following example using tiered credit card rates illustrates the difference that the interest rate makes in the amount you make in interest payments and the time it takes you to pay off your balance. The credit card balance is $5,000 and the minimum payment is 2.5% ($125 per month). As you can see, with a lower interest rate of 11%, your total payment is $2,763.91, compared with total payments of over $12,000 at an interest rate of 22%. You pay an additional $10,212 in interest payments, twice as much as the original debt. Moreover, with a low credit score and the highest interest rate, it will take you an additional 242 months (20 years) to pay off your balance. Default rates are another way—an often unfair and punitive practice—that issuers use to increase your rate, sometimes up to over 30%. Often, if one issuer gives you the default rate, others will follow. Here is how the Chase terms and conditions describe the default rate. Most cards state something similar. Some credit cards offer you the ability to take out a cash advance loan against your credit limit. Avoid these cash advances, as they are the most expensive loans you can get. Fees for such loans are typically 3% and the APR is over 22%. Cash advances have no grace period—you start paying the 22% on the day you take the advance. If you are currently paying off a cash advance, transfer that balance to a credit card with a low introductory rate for balance transfers. Avoid using your credit card to get quick cash at a grocery store or retailer, as this also counts as a cash advance. Only use your debit card to get extra cash. Discounts and special offers from store credit cards, such as 10% off all purchases, sound good. 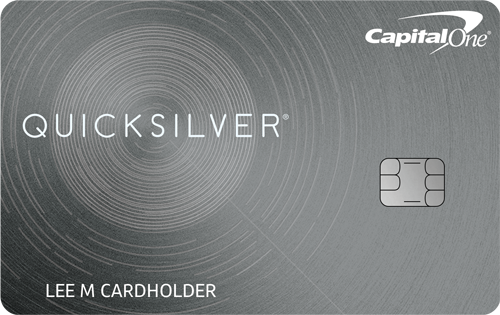 However, for the average cardholder, retail cards are among the most expensive cards to use. They typically have the highest interest rates, around 20% to 25% for cards from retailers like Sears and Best Buy. Store cards may also have unfavorable cardholder terms, and the typical 20-day grace period is one of the shortest. Store credit cards also have low limits, so consumers easily spend up to their limit on their first purchases. Being close to your credit limit with any card is a red flag, increases your debt utilization ratio, and can lower your credit score. Some retail cards also have a minimum payment of 1%, which is terribly low. At this rate, you will never pay off your balance—a good deal for retailers because it keeps you paying a 25% interest rate on your account forever. Aggressive rate cuts by the Federal Reserve do not create substantial savings for consumers with credit card debt. The rate cuts only affect cardholders with variable rates and lead to minimal reductions in the interest that cardholders pay. Meanwhile, issuers continue to find ways to increase rates and fees. Despite the Fed’s desire to cut rates and relieve consumers’ credit issues, issuers clearly state in the terms and conditions that they can increase your interest rate at any time for any reason. Although rates may be reduced by small increments, the best way to get a lower rate is to talk with your credit card company. If you carry a balance, your issuer will often lower the rate because it wants to keep your debt and continue receiving your interest payments.